After the UK debut at the CV Show in Birmingham, Volkswagen presents its all-electric large van e-Crafter also at Milton Keynes EV Experience Centre (from Friday 7 to Monday 10 December), however, it's still more than two years from market launch. "Van operators interested in finding out more about making the switch to electric vehicles can always get a knowledge boost and advice from experts at the EV Experience Centre in Milton Keynes. 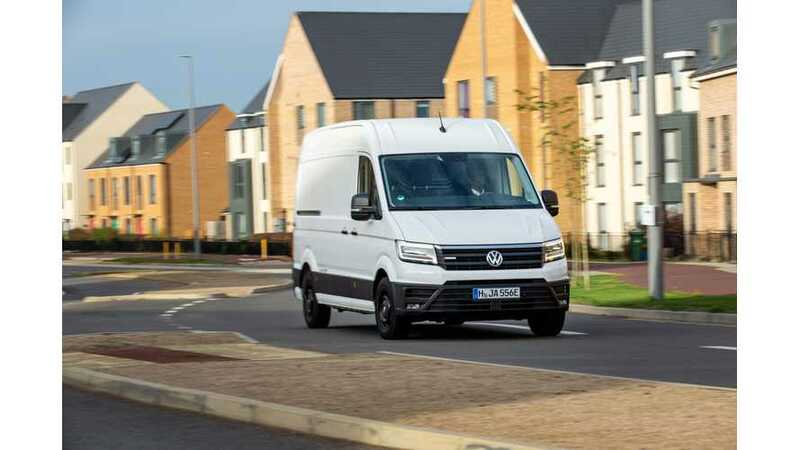 And to get a real taste of what’s coming up, they’ll also have the chance to see the Volkswagen Commercial Vehicles e-Crafter there this weekend." "Based in centre:mk at 26-28 Crown Walk, Milton Keynes (MK9 3AH), the EV Experience Centre was the UK’s first brand neutral centre dedicated to electric vehicles. Funded through a partnership with Go Ultra Low and complementing Milton Keynes’ status as an Ultra Low City, the centre’s aim is to provide free education and advice about electric and plug-in vehicles. Not only can the team there inform visitors about the different electric vehicles currently available and coming to the market, but they also offer advice on charging and infrastructure, as well as answering questions to allow customers to make informed choices. They also offer test drive opportunities in a number of different electric cars."